The new Audi Magazine follows the revised communication strategy of AUDI AG to focus less on the individual cars as such and instead more on the brand and its values. It focuses on the messages of “Vorsprung is our promise” and “We enable more personal freedom”, conveying them in an impressive manner. Captivating readers through an enthralling visual language with opulent photo series, the magazine features a diversified layout with concise red headlines providing orientation in the form of topic-related questions that are answered in the subsequent paragraphs respectively. The paper itself is marked by a high-quality tactile appeal and a selection of various print finishes. This further helps pique curiosity about the brand as an expert in modern and sustainable mobility covering relevant topics and invites readers to read about the most diverse people who are considered pioneers in their fields. Each issue takes the reader on a journey to different places around the world, offering itself as a coffee-table book of enticing design. 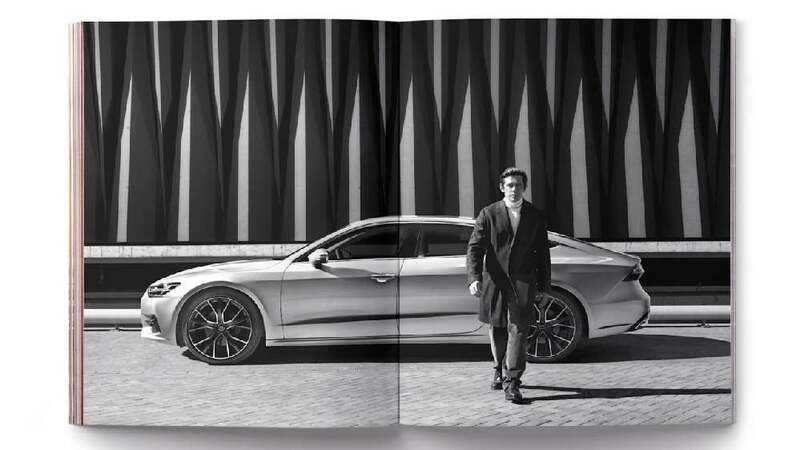 The Audi Magazine is a redefinition of the magazine format and inspires readers by its size, the use of photographs, illustrations and the layout. It unfolds a dynamism that impresses and draws readers directly in to explore the rich variety of topics presented. The notion that this magazine is not just about cars and instead communicates the values of the car group through unusual stories from all over the world, is clearly conveyed.